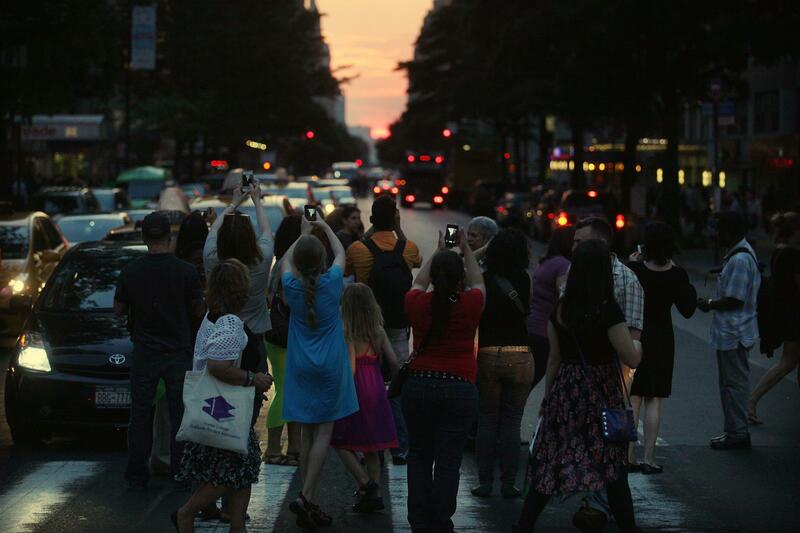 Manhattanhenge 2013 sunset was gorgeous: PHOTOS. ’Manhattanhenge’ on May 29, 2013, in New York City. Twice a year, the sunset lines up with the street grid in Manhattan north of 14th Street, producing beautiful vistas like the one above. This is sometimes called the Manhattan Solstice, though the better known term is Manhattanhenge, an “adjoinage” popularized by Neil DeGrasse Tyson. Of course, this being 2013, professional photographers like Mario Tama, who took that picture, were hardly the only people out snapping pics. Maybe some day more of us will decide to let Tama and his peers document such notable and heavily photographed occurences, and the rest of us will simply enjoy the spectacle. But clearly we haven’t reached that point just yet. 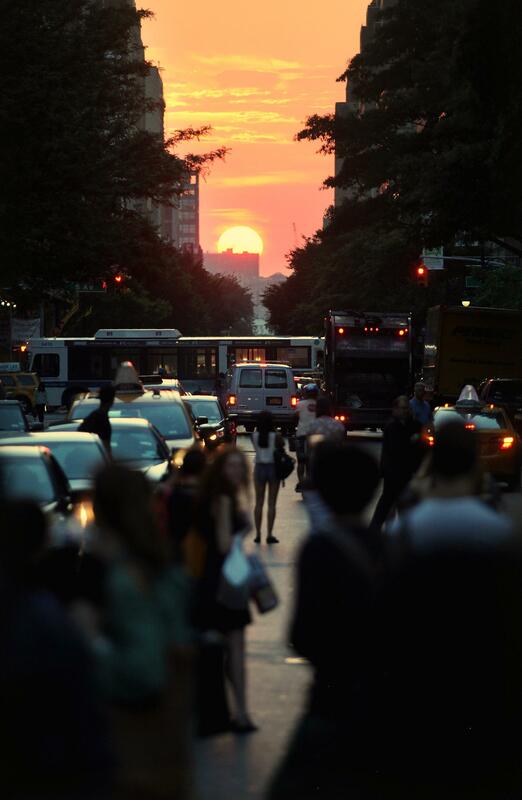 People photograph ‘Manhattanhenge’ on May 29, 2013, in New York City.